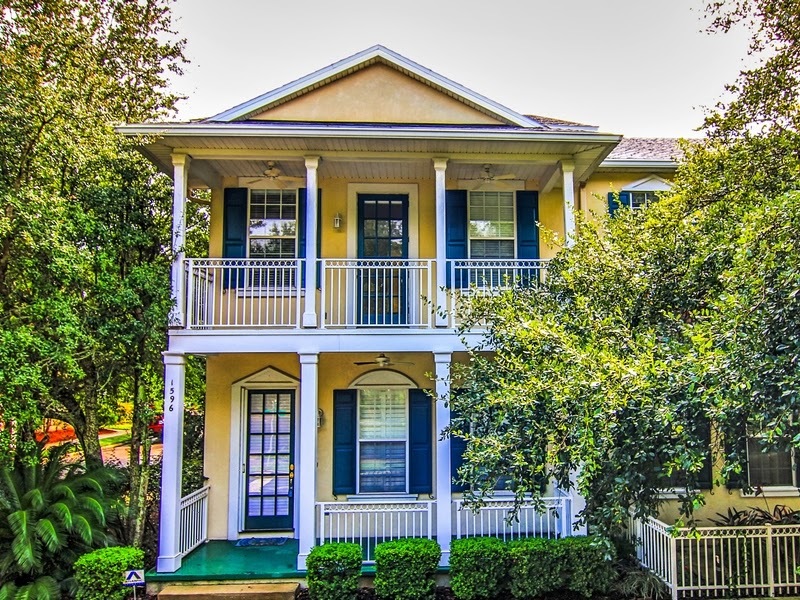 Amelia Park - Homes, condos, townhomes for sale in Amelia Park, Amelia Island, Fernandina Beach Fl. Planned traditional community. Imagine that you could travel back to a time when sultry summer evenings were spent in your grandmother's porch swing, when friends strolled by pushing baby carriages, when chatting with neighbors was a standard activity and the word community meant something. That time and feeling are evoked in Amelia Park on Amelia Island. Amelia Park on Amelia Island recaptures the best of the past with its norrow tree-lined streets, wide welcoming sidewalks, public greens, parks and lakes. The community features a central lawned area, with a gazebo / bandshell; the site of community events and concerts. It also has it's own Chapel for religious services. Centrally located, shopping, restaurants and the beach are all within walking distance... the YMCA, is just up the road. Alleyways run behind the homes and their rear-facing garages for a neighborhood designed around people, not cars. But, home interiors are completely up-to-date with open floor plans and all modern conveniences. Housing ranges from multi and single level townhomes, to single family homes. HOA fees are low. The overwhelming positive response to the Amelia Park on Amelia Island concept were clearly demonstrated by the speed with which Phases I and II of the community have been completed and sold. Townhomes start in the mid $300's (resales only), single family homes start in the 400's (resales), new construction in the $500's. Most homes have clapboard siding and front porches, evoking that old "home town" feeling of yesteryear. No Obligation, No Pressure - Ever!